Since we were spending a few days on the coast we decided to drive around and experience some more sights and food. It’s always about the food for me, if you must know. We stopped in here after being told we needed to try it. 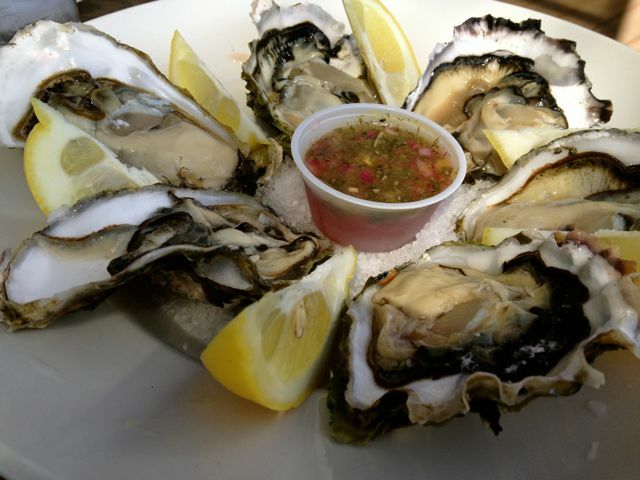 I was reading reviews and I knew we needed to get the oysters that come out of the Netarts Bay. I also read that they were very large. Ok, very large is an understatement. These things were ginormous. They were like a 3-4 bite oyster, but crazy good. They were very mild, the flavor of the herbed mignonette was a huge compliment to them. Usually I take my token one and let my husband have the rest, but this day I was fighting for my fair share. Best Clam Chowder around if I do say so myself. 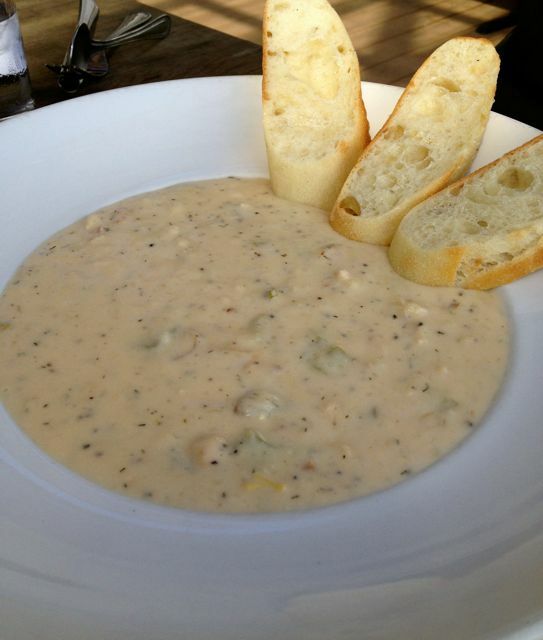 Since we were there during the week they were out of quite a few things, so we just got the chowder. It was very good, just enough different to make it stand out from the other chowders and super flavorful. The bowl was very large and it came with 3 slices of sourdough bread. It was enough for the both of us. Atmosphere is very coastal. On this day we were able to sit outside under the great covering and enjoy the sun. They do have heaters and fire pits, but we didn’t use either. Pricing was very average, I guess I should say good considering the portion sizes. We didn’t get any drinks, but I did see quite a few beers. Service was just ok. There was one gal working the whole joint. We took it in stride, and we weren’t in a hurry. The Schooner is located in Netarts. You can’t miss it there are signs.